Vgy- just restore factory settings once. Zah, 28 Jun 2014My wats app expired and I can't go to d nokia sore to dwnload it. Wen I try to open the store ... moreDude, are u for real? Even my 2 year old sis can do that! Whatsapp is crap, telling me to update it, it corrupted all my apps (can't open any of them).So I end up hard reset my phone. 1/2 hour gone, the screen is still blank. I think my phone is DEAD. My wats app expired and I can't go to d nokia sore to dwnload it. Wen I try to open the store it flashes n doesnt open. I need he plz!!! Anyone!! I cant even gt to go online! D connection isthetr but it wont load!!! I am getting one problem with my nokia 311 after using. The problem is that vibration feedback setting is ON, but I am not getting vibration feedback. So, how can i get vibration feedback with my Nokia 311 touch screen mobile. Fast internet 2.5G and 3.5G.! Best phone for internet sharing via bluetooth/usb. I want updates with new features. Hey nokia ! Fast internet 2.5G and 3.5G.! Best phone for internet sharing via bluetooth/usb. Do ASHA 311 have a front camera? Since 1 year there is no new software updates for nokia asha 311. I think nokia forgt dis model. manu, 13 Jun 2014the worst phone i have ever owned. really disgusting but its price is not that low. Picture q... moreok,,, NOKIA we like your phones very very much,,, but ever since you released ASHA models we experience a Lot of problems.. 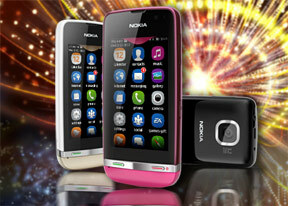 Try some other models like X, N, C, E series , please bring back Symbian phones,, Old models were better than ASHA.. I miss symbian phones,, were are they?? What to do if the gorilla glass is broken ???????????? ?